Attach to the active location. Attached location gets +1 quest point. 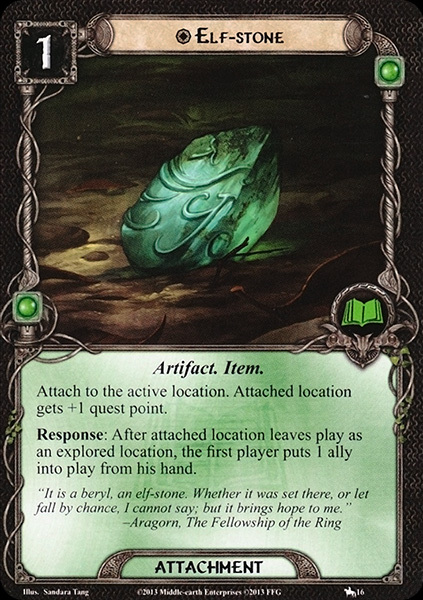 Response: After attached location leaves play as an explored location, the first player puts 1 ally into play from his hand. "It is a beryl, an elf–stone. Whether it was set there, or let fall by chance, I cannot say, but it brings hope to me"